The show that brings together some of the sharpest and most informed minds in Australia to tackle the issues of the day and share their opinions. Catchup on the best conversations and feature interviews from the past week. The Drum Weekly was broadcast on ABC News 24 at Saturday 12 January 2019, 06:30. 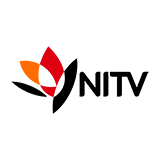 The Drum Weekly is a TV show on Australian national television from ABC News 24 with an average rating of 3.3 stars by TVCatchUpAustralia.com's visitors. We have 174 episodes of The Drum Weekly in our archive. 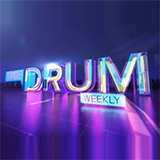 The first episode of The Drum Weekly was broadcast in April, 2019. Did you miss an episode of The Drum Weekly but don't you wan't that to happen in the future? Please set an alarm and add The Drum Weekly to your favourites, so we can remind you by email when there's a new episode available to watch. Completely free: handy!